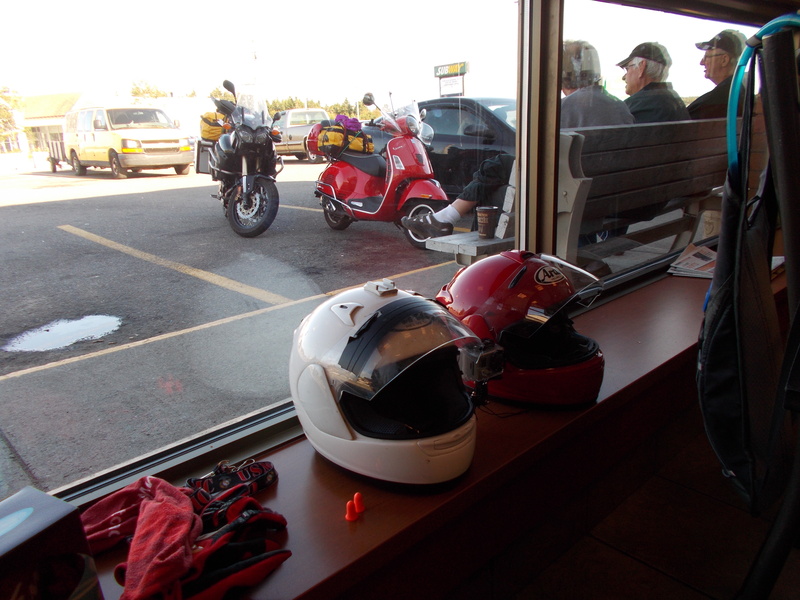 At every gas station from here to the shores of Cape Breton Island, someone wanted to talk about the Vespa. 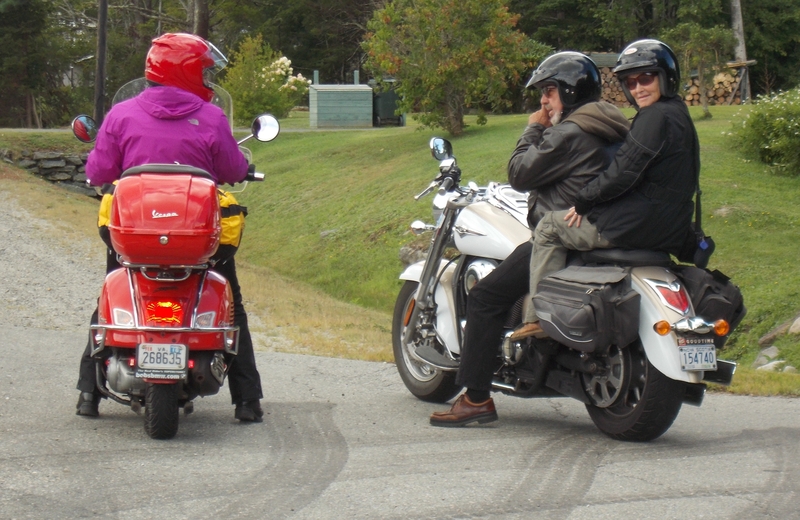 On our rides, we’ve learned that motorcycles almost always attract attention. The bold people charge right up and start asking questions while the hesitant folks eye the machines from a distance and sidle over and study the license plates. They glance at the Yamaha, but they really want to know about the Vespa. “Oh, yes,” Linda says, and they want to know what’s it like to ride the scooter, how fast does it go, how comfortable is it, how many miles to the gallon? Can you take it on the freeway? Doesn’t it shake? Linda talks with them – hey, it’s her bike! – and answers their questions as I silently marvel at it all. We plug into everyone electronically and avoid face-to-face contact with strangers. Few people start conversations at gas pumps, but bring in a motorcycle or scooter and they get a little bolder. Without proselytizing, Linda tells her about motorcycle safety classes and the challenges and fun of riding. You can tell our fellow lodger is thinking about it as she’s leaving. Those are the hesitant ones. The ones who start talking without preamble are usually riders themselves and they want to know immediately where we’re from and how far we’re going, like the young guy at the truck stop in Southington, Conn., who walked over and told us the history of his Harley. It’s common to compare bikes and offer stories of past rides. 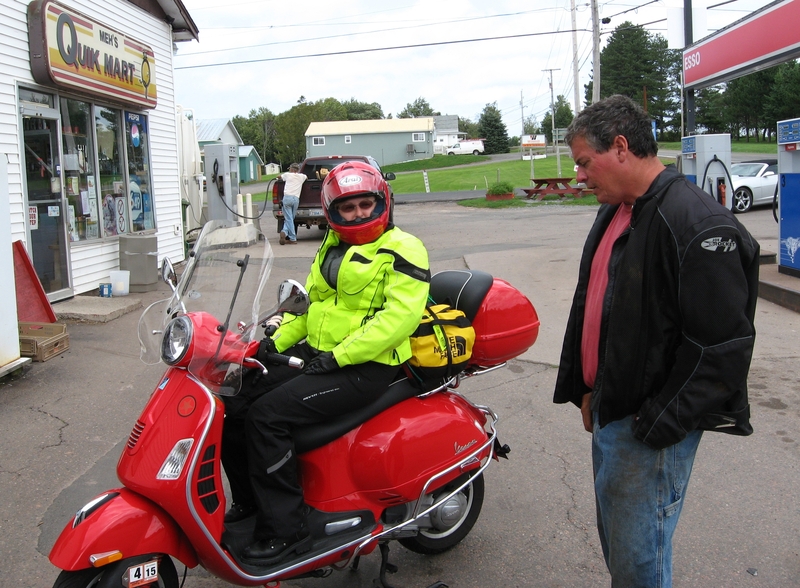 A guy dressed in black and wearing an earring, driving a pickup truck, tells me at a Petro-Canada station in Moncton that he’s got a BMW K1600 (a really nice touring motorcycle) and his wife has a 150cc Piaggio scooter. 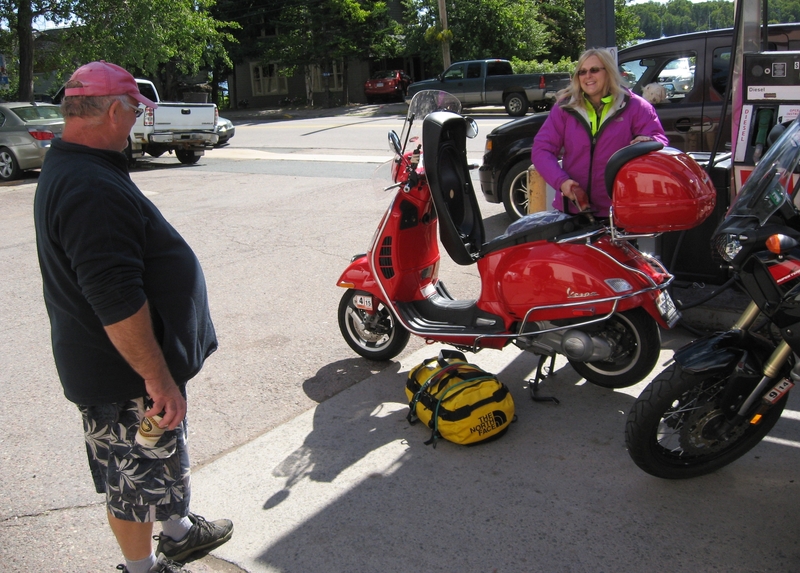 Instead of them riding two-up on his BMW, she’s been taking her Piaggio on the road with him. But their rides have been too short, he says. “I been trying to get her to ride more. Can I take a picture? I gotta show this to her.” He uses his cellphone to photograph the Vespa. 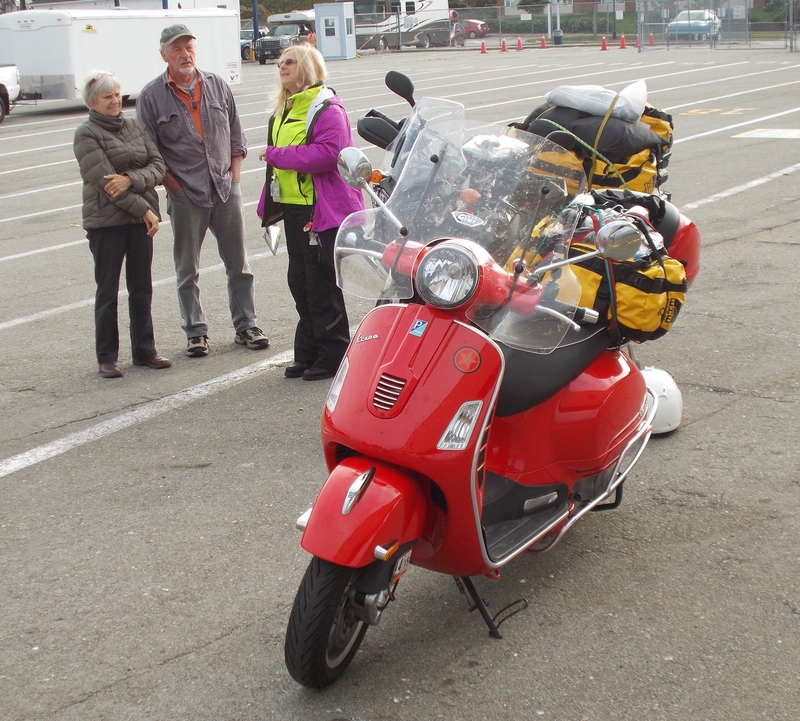 The Vespa has a 2.4-gallon gas tank, which required us to stop every 90 to 100 miles to fill up. That’s a lot of refueling. And a lot of conversation. And sometimes, they just talk amongst themselves. I can tell that you enjoy the people you meet on the rides as much as the ride itself. You have found a common link amongst fellow man: that spirit of adventure that calls each one of us!